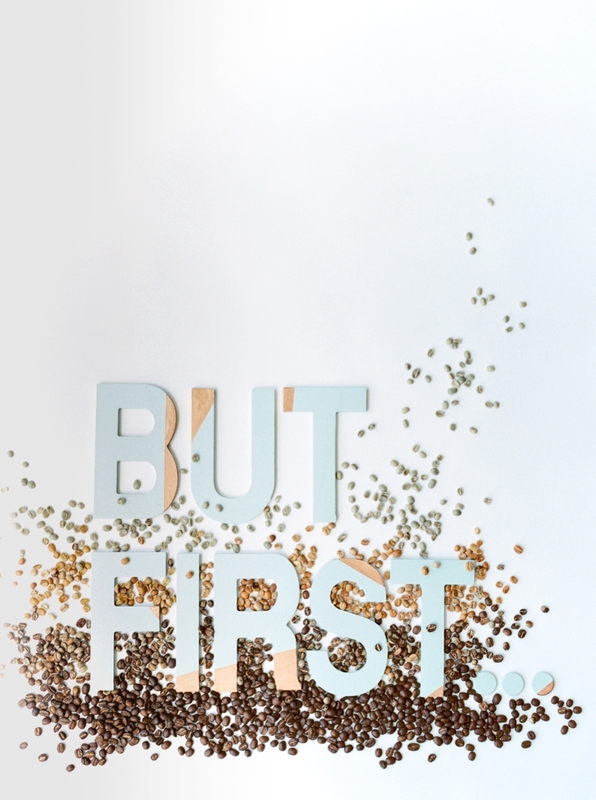 In the newest issue of Blush Magazine there is a Q&A with me all about film photography! I am so excited that a local magazine has decided to shed some light on film! 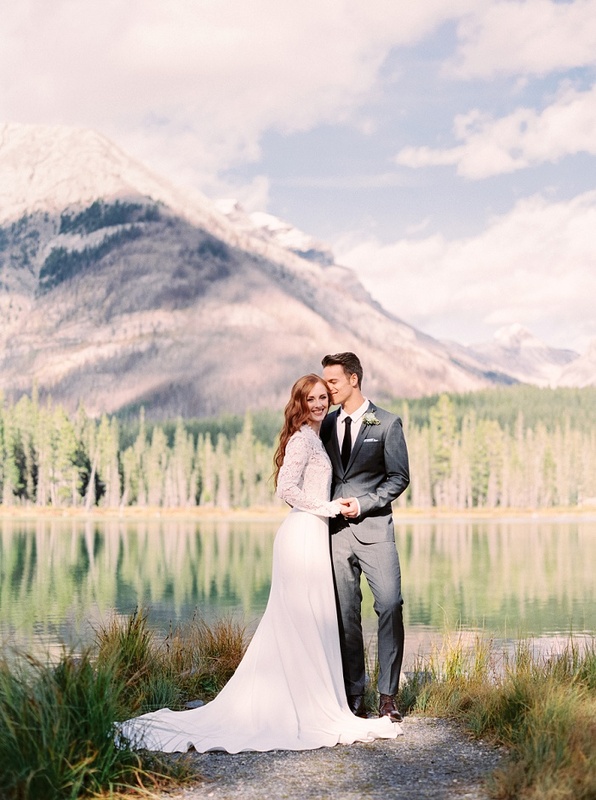 I know its not that common of a medium for photographers anymore, especially in Alberta, but its absolutely amazing and I'm so thrilled to share the article with you! There are many benefits to film photography; however, a lot of people are weary or scared of it because its not familiar to people anymore. 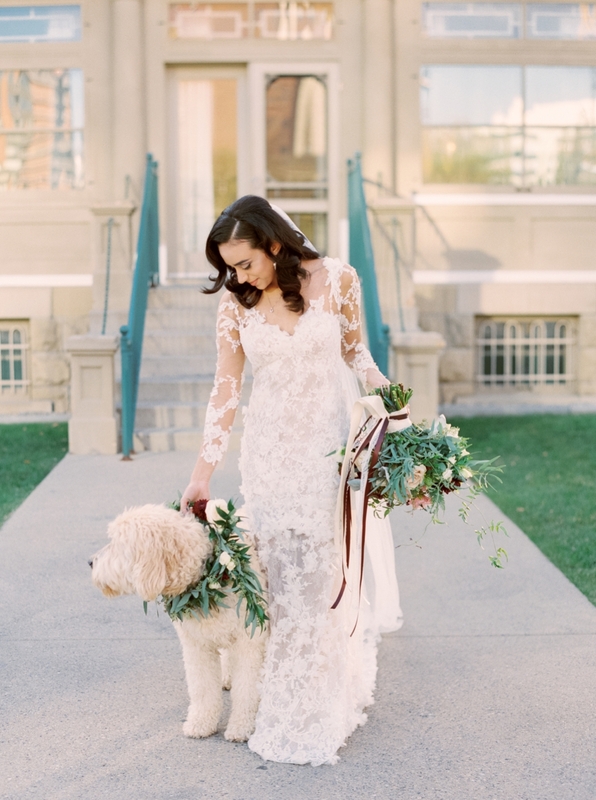 Hopefully this article will help educate Alberta brides about the benefits of film! Article written by Carmen Green. For most of us, our experience with film photography is limited to disposable cameras from childhood vacations-if even that. Film seems archaic compared to the ease and convenience of shooting digital, but much like vinyl enthusiasts, some photographers find film more aesthetically pleasing. 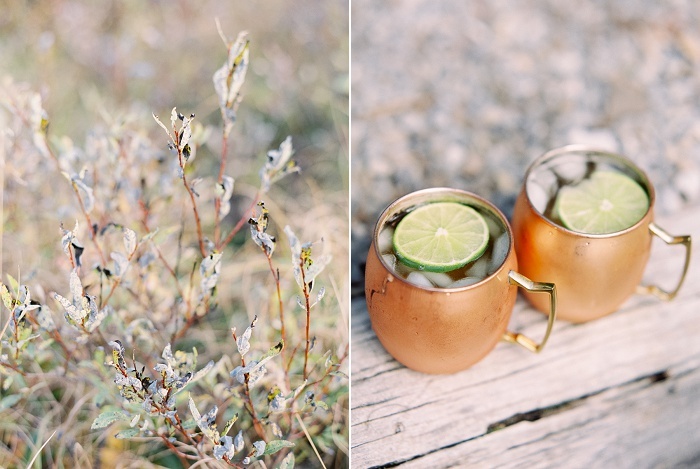 Justine Milton talks with Blush about bringing the fine art of film to wedding photography. Q. What made you decide to get into photography in general, and film photography specifically? A. I started out by taking a photography course in university as part of my design degree. We had to use black and white film and I took a photo of my great-grandmother's living room, with sun pouring in through a stained glass window above her piano. My professor told me I had a talent for photography and should consider doing something with it. So it was kind of a fluke that I got my way into photography, but once I did I loved it! Q. 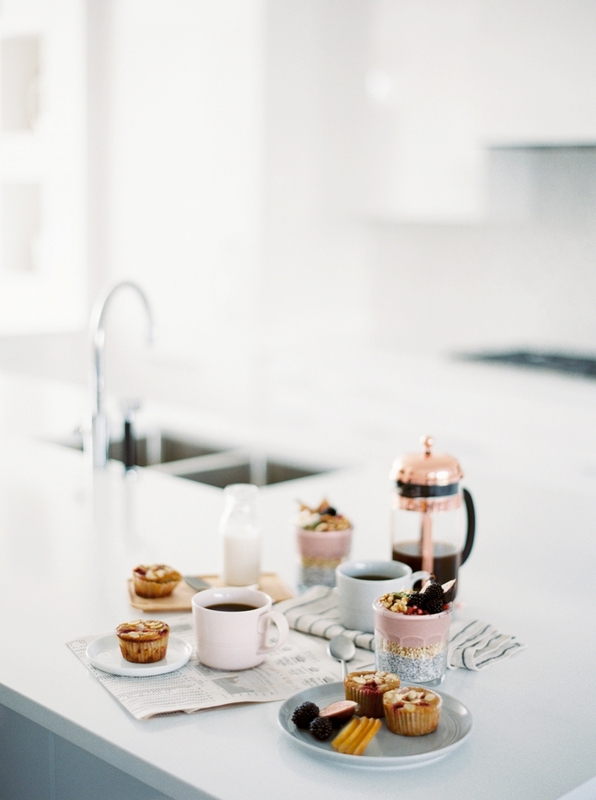 What are the advantages and disadvantages of using film over digital? A. Personally, I love film because it looks alive in a way that digital just doesn't - it has more depth and dimension to it and looks like you could reach out and touch it. I'm not stubborn about using only film - it captures light differently than digital so there are some situations where digital is more versatile than film and vice versa. Shooting film was a bit nerve-racking at first because you have to be confident...there's no checking the back of the camera to see if it looks good, you just have to know it looks good. Q. Can you shoot film in dark spaces such as reception rooms? A. Absolutely! In fact, lighting dark spaces is one of the skills I'm most proud of. 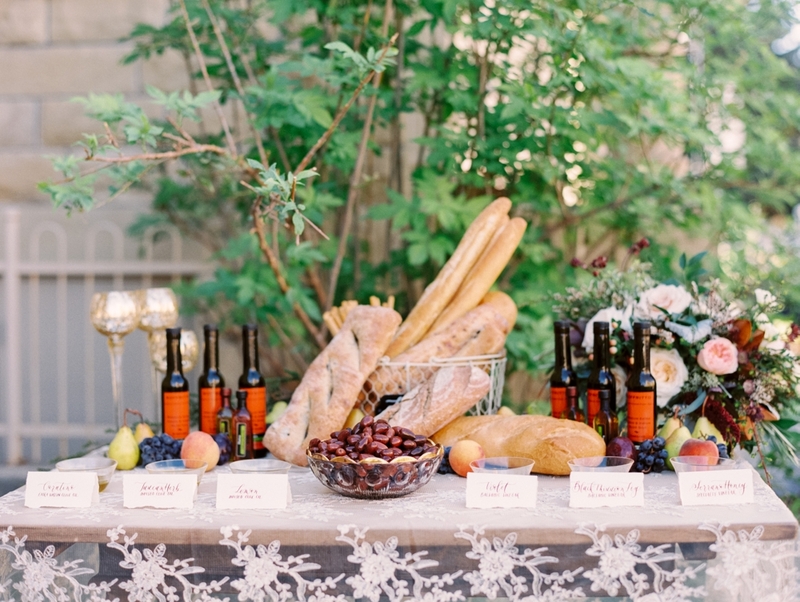 I figured if I truly wanted to say I'm a film photographer I ought to be able to shoot receptions on film. 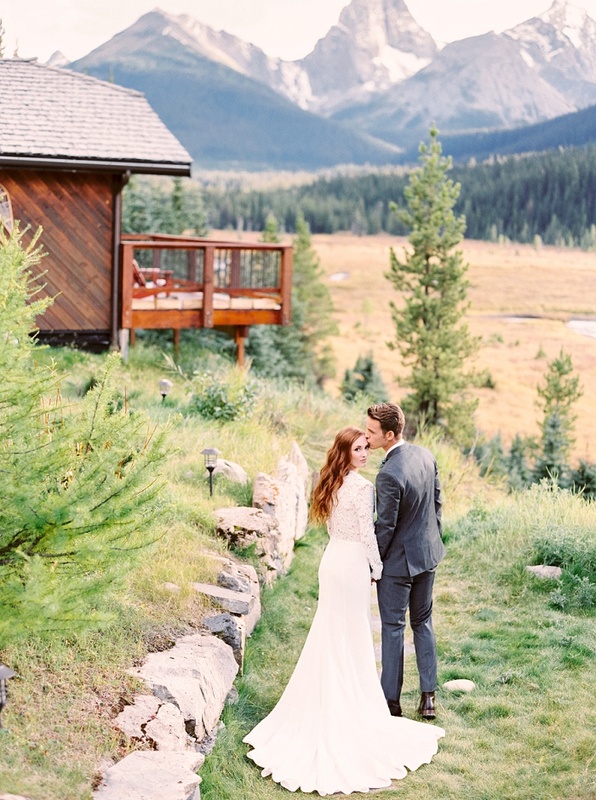 In Alberta most receptions are not in bright, naturally-lit spaces, so I had to learn to shoot film with flash! I practiced for a year with flashed to nail exactly the look I wanted and now I shoot film at receptions all the time. Q. Can you describe your film process from shooting through production? A. Shooting is pretty straightforward: my assistant loads film cartridges while I shoot so that when I finish a roll we just swap cartridges and I keep shooting. It's pretty seamless for me. We overnight FedEx the rolls to the film lab; they develop the film, scan in the photos and send me digital files. I don't edit much; I might crop or straighten some things, tweak the coloring a wee bit but nothing major. 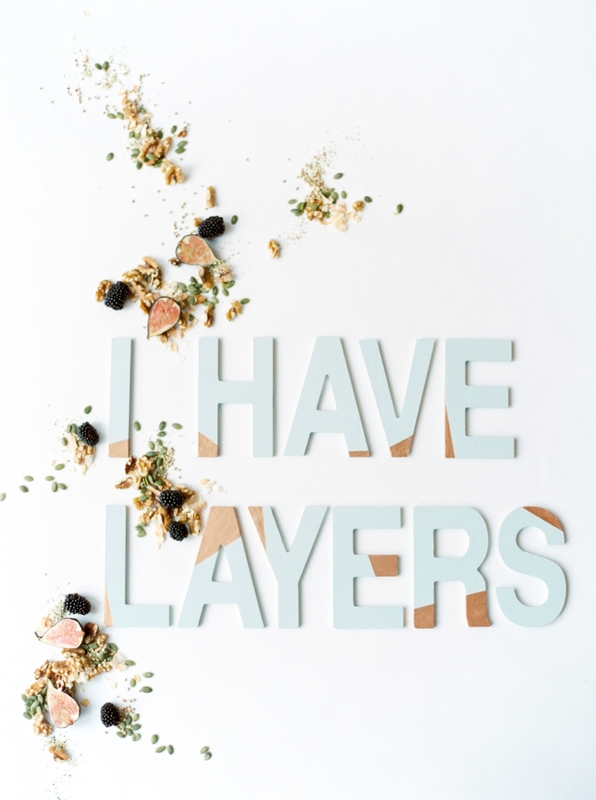 Printing is the same as digital, I just send the files to a print lab and they handle that part! Q. 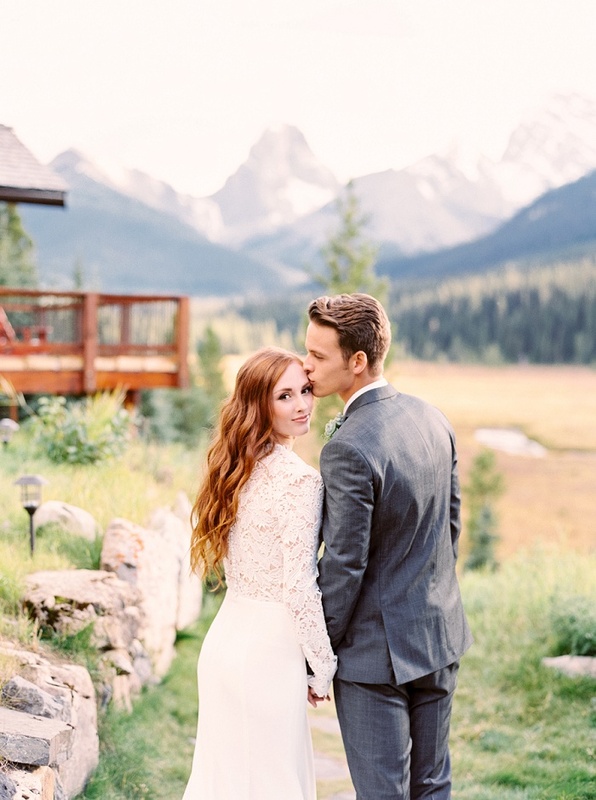 How receptive have couples been about using film for their weddings? A. Most of my couples don't know I shoot film until well into the day, if they realize it at all. That said, some couples love that I shoot film and hire me specifically for that. Q. 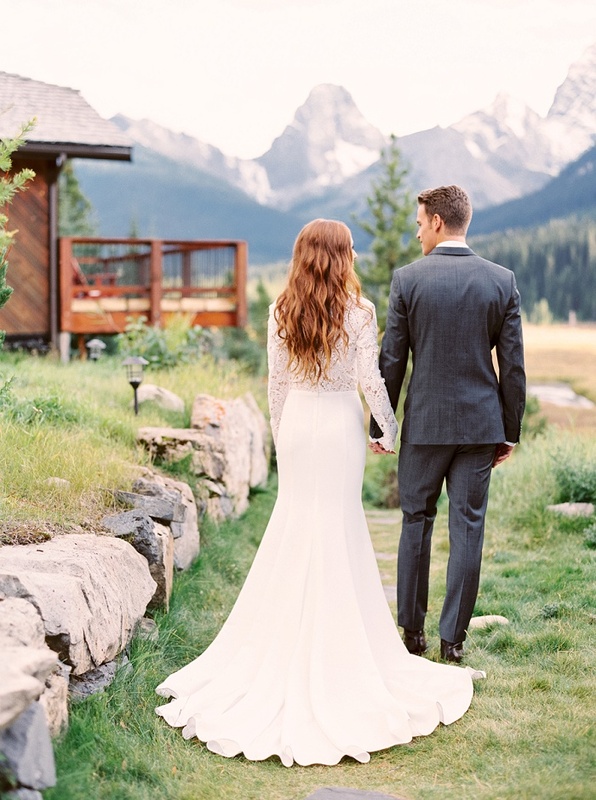 What advice would you give couples who are considering hiring a film photographer? A. Chat with them and see exactly how film fits in with what they do. Do they shoot exclusively film or are they "hybrid" (both film and digital)? Ask how long they've been shooting with film - it's not something most people can learn overnight. If you're really concerned, ask to see some examples of shots from darker lighting conditions. Film is pretty forgiving in daylight, but in dark churches or receptions it can be tricky. Q. 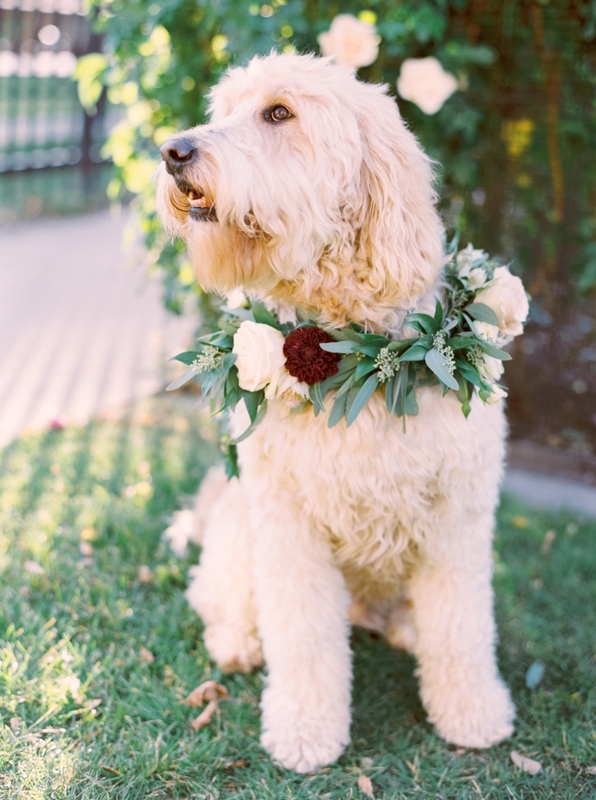 What do you like best about wedding photography? A. I love getting to interact with clients and being witness to one of the most important days of their lives. I love the subtle looks, big smiles, tears and anticipation of everyone involved. Make sure to pick up your copy of Blush magazine to see the article in print, a bunch of real weddings and amazing styled shoots! Scans By: Photovision Prints | Linens: Celebration creation | Model: Manuelia R.
I've never been inspired by a moment in time more than the time I spent in Italy. 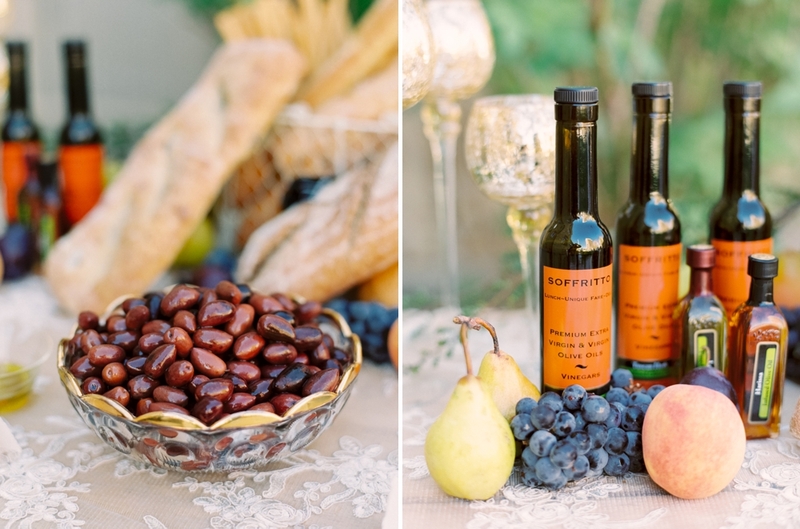 I went to Italy in spring of 2015 and was immediately compelled to bring aspects of the Italian culture back and transcend the elements I fell in love with into an inspiration shoot for Bride-to-be's. 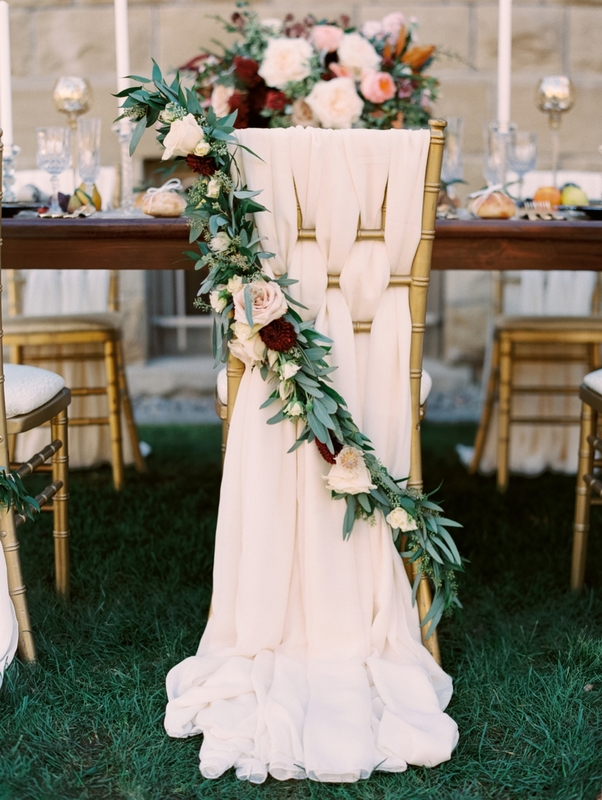 There were so many timeless and overtly romantic aspects about the Tuscany region that I knew would impact they way I viewed celebrations entirely. The Italian's celebrate food, wine, taste, smell, touch and experience with such a vigour and passion, and that's where this shoot stemmed from. The 2016 Pronovias wedding gown set the stage for the romance and femininity that I wanted to create. The 3D lace detailing, lace sleeves, button down back, soft fabrics, and the detachable skirt showcased pure style and class in the understated and nonchalant way of Italian fashion. It also showcased a lot of what will be seen in wedding fashion for the next few years to come. 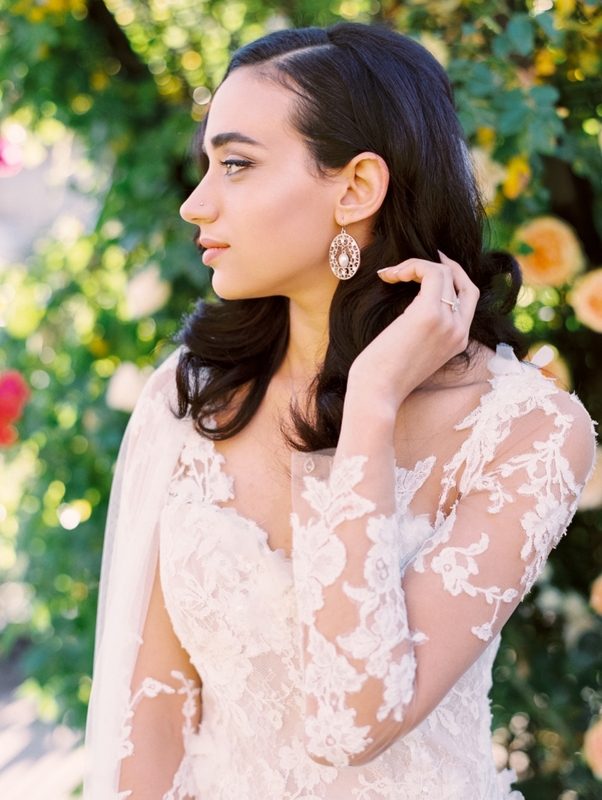 I worked closely with Keri Gordon to create a natural, breathable beauty look that let the bride's natural beauty shine and we created soft romantic waves that again gave way to the femininity that can be found in so many elements of Italian culture and architecture. 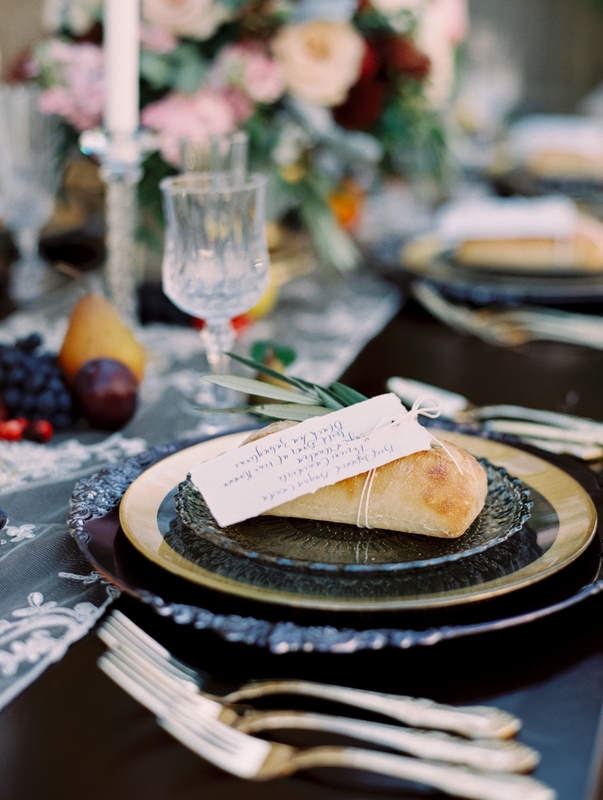 The tablescape was carefully designed to include elements that are currently being coveted by couples such as the monogrammed napkins and hand calligraphed menus (on parchment paper that was attached to the freshly baked bread). 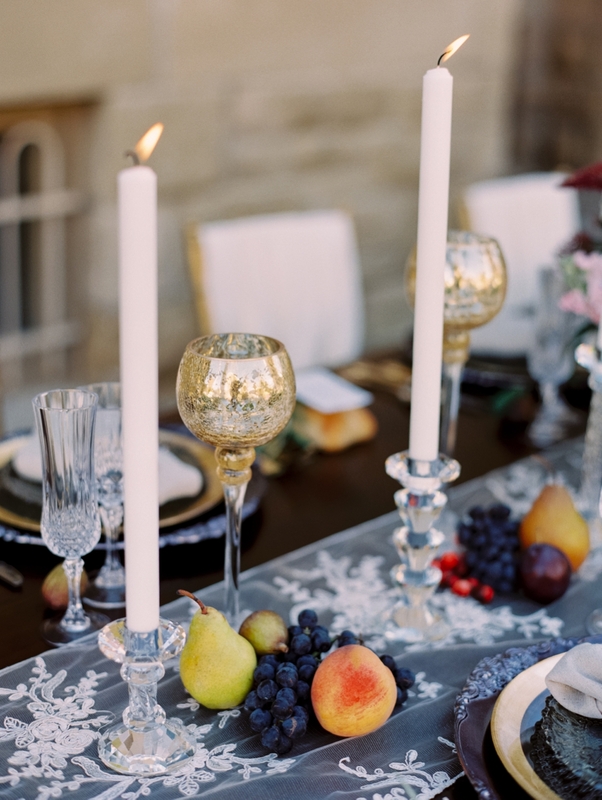 It was important to incorporate a mix of ornate details like the charger plates, crystal glasses and cutlery yet balance them with simple natural elements such as the gold rimmed plates, pebbled colour linen napkins and the bare wooden harvest table. When romanticizing about the culture of old Italy, I often think of hand written love letters and the beautiful artisan elements that were celebrated for centuries. I chose to incorporate this element by getting Jill of Art and Alexander to hand calligraph every piece of stationary on a piece of thick old parchment. We further wanted to showcase the idea of visual arts by brining in the intricately woven chair covers and the hand made floral chair garlands done by Flower Artisty. 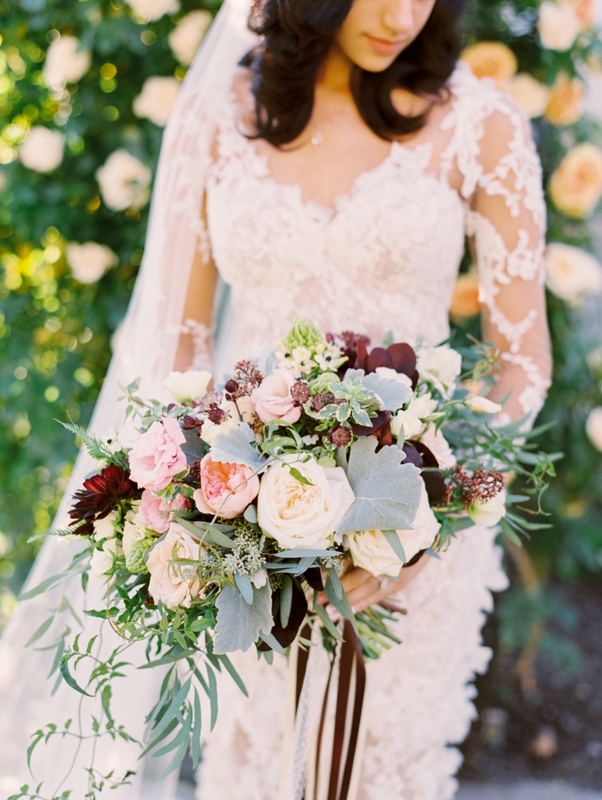 I chose to keep all the colours in a natural, warm and deep tone, so we used ivories, blushes, peaches, burgundy and forest green. Last, it was imperative that I incorporated the most important aspect of Italian culture, the food. Celebrations are so often remembered by the experience of food. 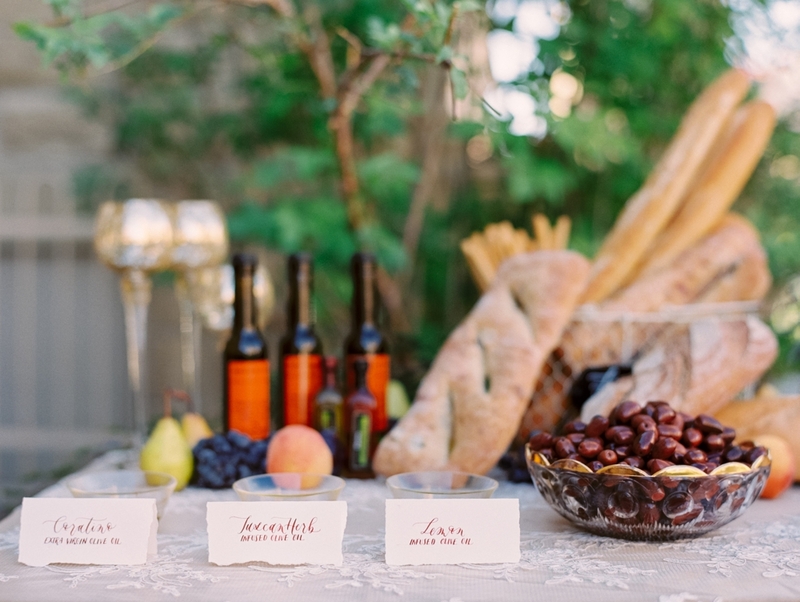 The incorporation of fresh fruit on the tables and the figs with the hand calligraphed leafs showcased the abundance of the Italian landscape but also represented how every marriage wishes to be blessed with the abundance that life has to offer. 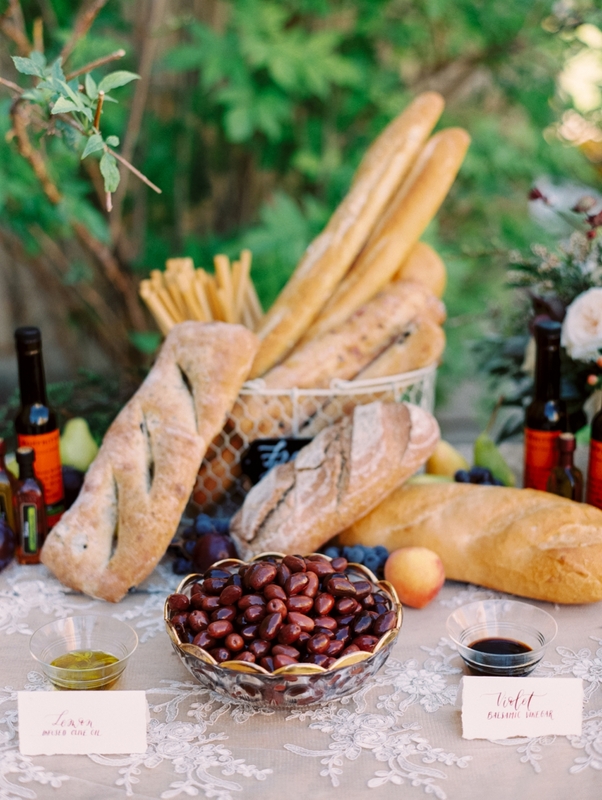 The fresh bread, olive oil and vinaigrette bar paid homage to the experience comfort and family and every olive oil and vinaigrette was of an Italian origin. 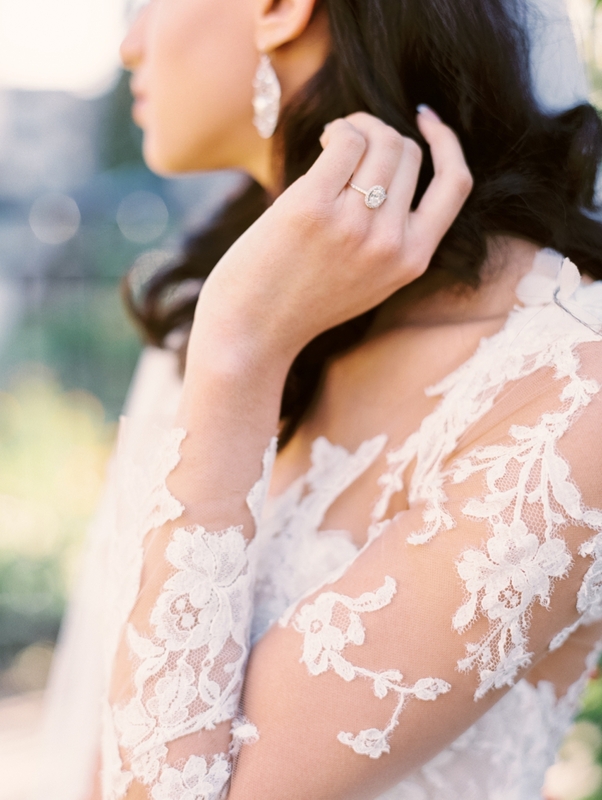 This shoot was all about art, romance, beauty, comfort, love and celebration. 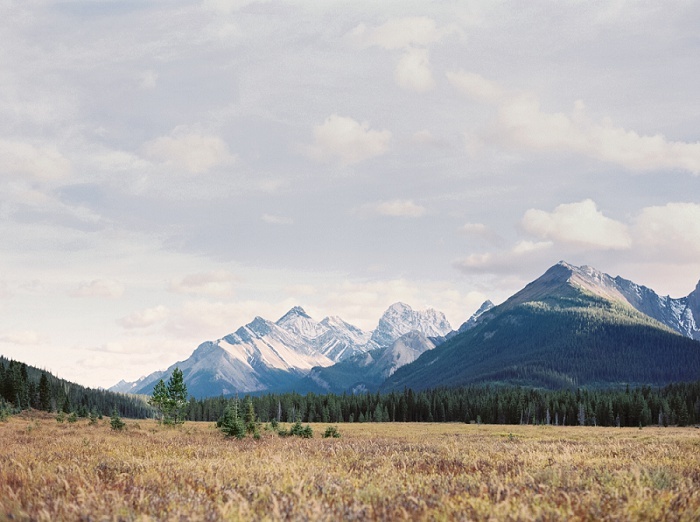 Rivers & Lakes - Emerald lakes and sweeping views of the Rockies - be inspired by the natural elements of Canmore Kananaskis. Cool Blues - Light blue in a marbled water-inspired design is the perfect way to bring in the water elements of Alberta to your invites. 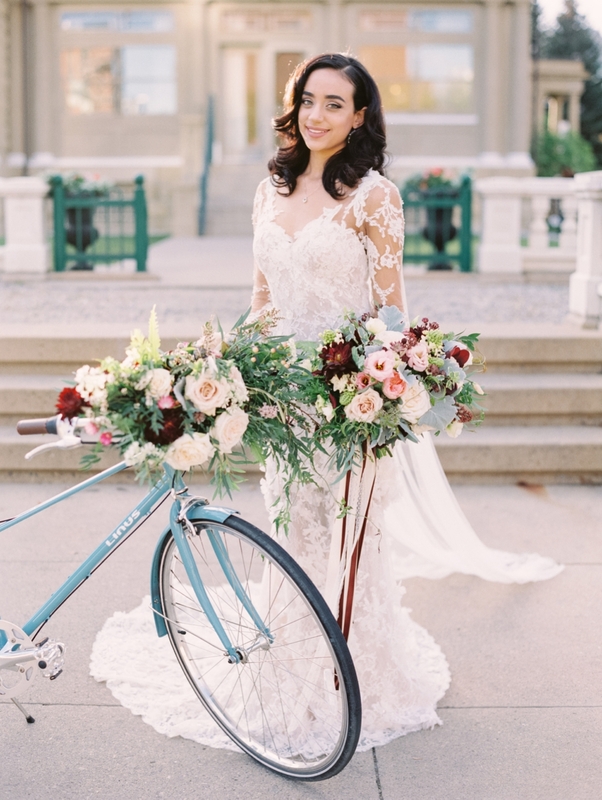 Vintage stamps and calligraphy complete this look, and set the stage for an inviting day! 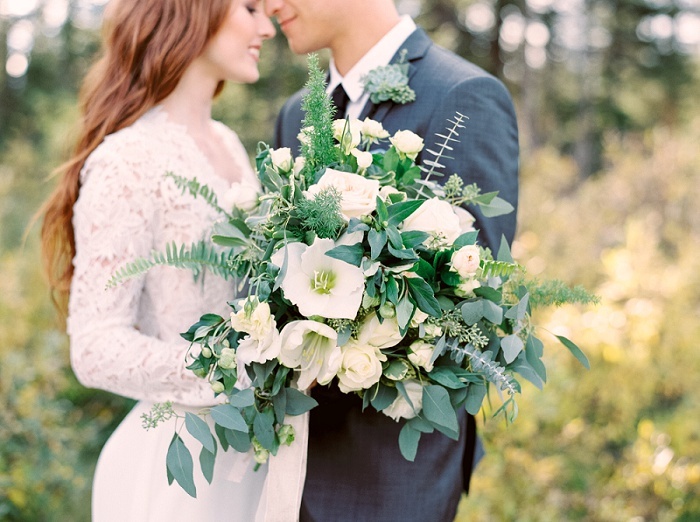 A Love Story - Stealing kisses in the woods - we are smitten with this bride and groom's look. 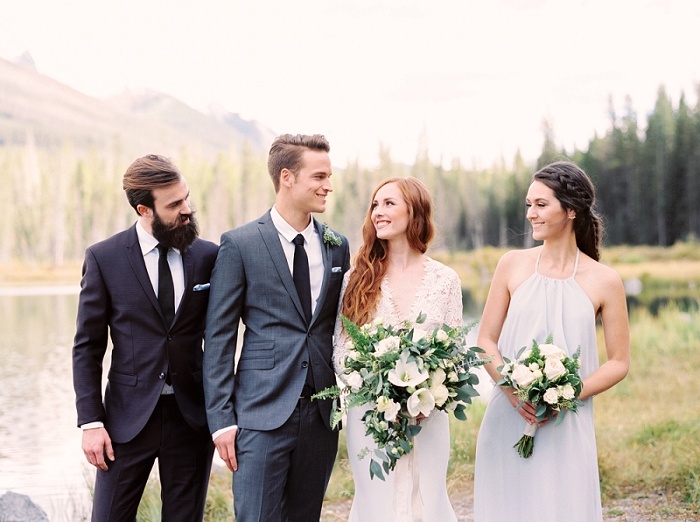 A fitted grey suit adorned with a succulent boutoniere is dashing next to a stunning bride wearing a Tara Keely long sleeved Ivory Venise lace gown. Mt. 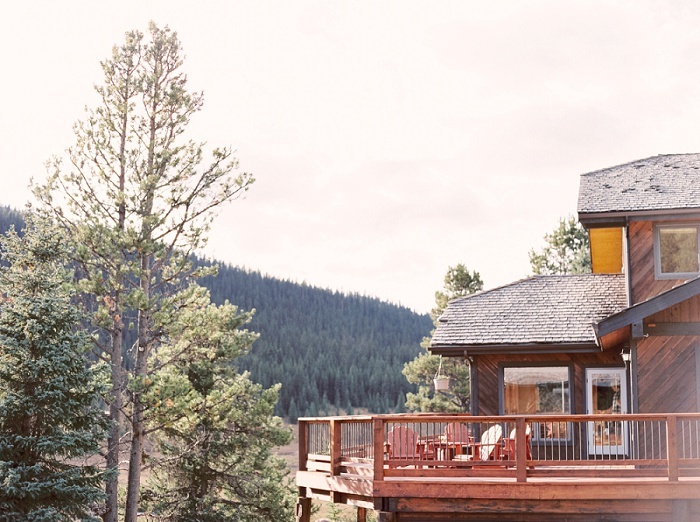 Engadine Lodge - Mount Engadine Lodge is a hidden getaway in the pristine Spray Valley Provincial Park. 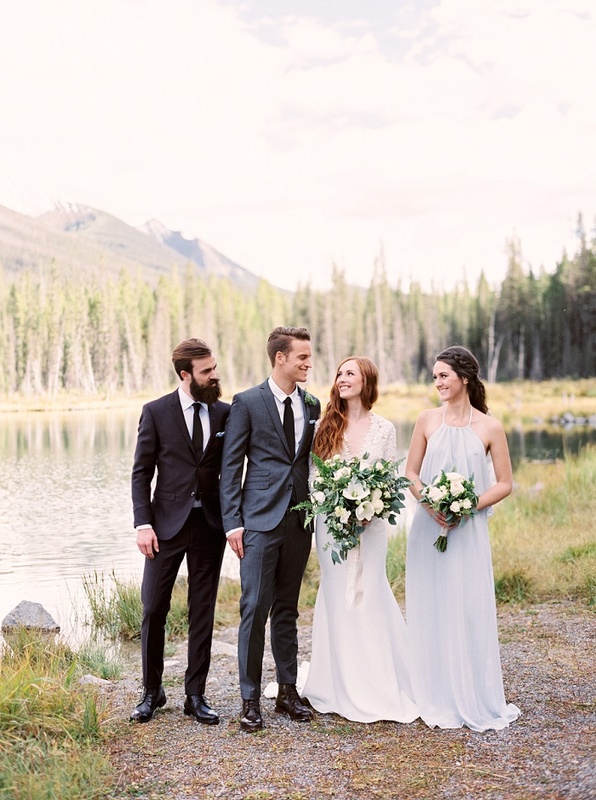 With it's rustic charm and natural beauty, it's the ideal location to be inspired by the rivers, lakes and soft green meadows. Riverside - Wood tones and river rocks - this intimate setting by the river is the perfect place to enjoy all the beauty around you. 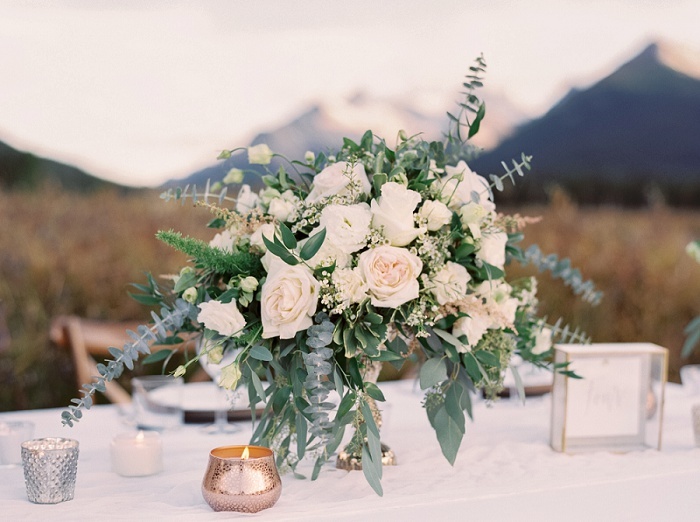 We love the gold and copper accents paired with soft floral and candlelight. 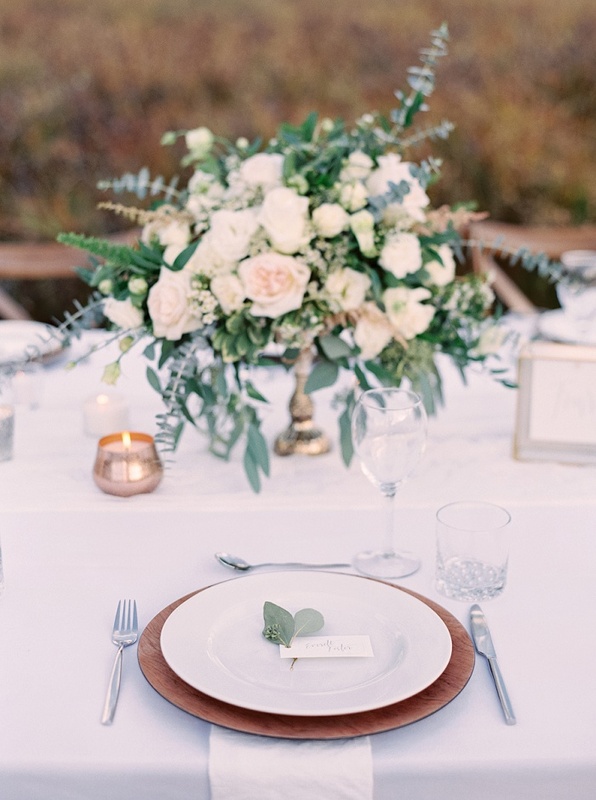 Twigs of eucalyptus on each place setting pulls a natural element to the table.